Corrective Exercise is all about finding balance, gaining range of movement, and improving mobility. At gyms all over the country, you’re likely to find at any given moment someone trying to squat on a bosu ball without toppling over. But corrective exercise is more than just finding good balance. It’s a middle ground between personal training and physical therapy. It’s used by physical therapists to treat injuries, reduce pain, and improve fundamental movement. And personal trainers should be using it for the same reasons, but the difference is that their clients are there for fitness, not for just injury treatment. A lot of times personal trainers will have to work around an injury, but corrective exercise is a good way of meeting it head on. Improving range of movement and fixing any muscular imbalances can definitely help a client get more fit and improve their quality of living. Like all trends, there is a mixture of good and bad. And in this case, it’s super important to be implementing it properly. Improper corrective exercise can actually exacerbate injuries and frankly, can be a waste of your clients’ time if it’s not needed. So in order to incorporate corrective exercises properly, it’s important to get certified by the right people. Let’s take a look at what’s on offer. The first certification we’re looking at is called Functional Movement System, or FMS. While technically it has a different name, we’re still looking at the same type of programming. FMS has been split into two levels. Level one is a very basic introduction. It covers skeletal muscle patterns, the importance of screening, and the techniques to do so. It also goes over common mistakes in screening for imbalances or injuries. Level two goes a bit further in depth. This is where you learn to interpret the screening results and implement programming based on the findings. A pro to this program is that they focus on general movement performance, as a personal trainer would. Meaning, it’s not injury specific. It’s designed to help the client improve fundamental movement in order to start an exercise program, or just to better enjoy everyday life. A downside is that it’s technically two different courses. 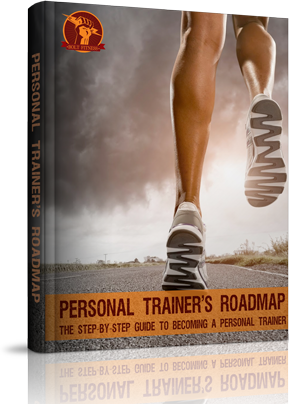 Level one may be too basic and introductory for any personal trainer with significant experience and knowledge. Let’s look at two of the top Corrective Exercise programs in the country: NASM and ACE. NASM is a leading certifier in the fitness industry, and it is no different with their corrective exercise certification. They simplify it into a four-step continuum, which really defines the steps and techniques that can be used for corrective exercise. The first step on the continuum is to inhibit. In this stage the goal is to reduce tension in affected areas, reduce any soreness present, and improve circulation to the area. Next is to lengthen, or improve range of motion. Think static stretching to reduce muscle stiffness. The next step is activate. This is isolating the affected muscles and strengthen any that are underactive or weak. Lastly, integrate. This is giving dynamic total body exercises to incorporate into everyday workouts or just day to day life, focusing on coordination, movement patterns, and improving general performance. The NASM program is offered through an online platform, but they also offer programs that include a live workshop where you can see for yourself corrective exercise in action. The biggest perk to this program is the actionability. The steps are clearly laid out and each one describes what to do and how it works. Keep in mind that this program is best suited for people who already have a background knowledge of musculature specifics. Another respected program is ACE. The ACE certification for corrective exercise is based on The Biomechanics Method. It is divided into five inclusive modules. Modules one and two focus on fundamentals. They go over how to assess each joint in the body and how an injury in one joint can affect another part of the body. The third module is where you finally get into the actual corrective exercise, including how imbalances causes pain, how to improve mobility, and increase strength. Module four focuses on the client. This is when you learn specific program designing. They also focus on upkeep of client motivation, behavior, and communication. The last module is the complete exercise library. It’s a digital reference manual that shows you a huge selection of exercises to be considered when designing your programming. A major pro for the ACE certification is the focus on the client. Screening and program development is all well and good, but if you can’t get your client motivated or committed, it all goes out the window. A con is that the entire program is online. They use an interactive system, but they do not offer in-person training. The short answer is that it depends on you! It’s important to do your research, really consider your current level of knowledge, and choose from there. A good deciding factor is which certification do you think you’ll be able to put into the greatest use in your programs. To me, the simplicity of NASM’s corrective exercise makes it easy to use in real life, with real clients, with real problems. Corrective exercise is a valuable skill as a personal trainer that can add value to your business. Learning the proper way to assess and implement a program can help you and your clients to live happier and healthier!